Try us out for a week! Matt has been involved in health and fitness since 2004. His athletic background includes collegiate track and field, 5k to Marathon distance races, Spartan Racing and amateur bodybuilding. Ask Matt how to get going on your first fun run/walk! Matt believes in creating habits that stick! Committing to a lifestyle change is a full time job, and no two people are alike. Why should their training programs be any different? We all have a goal, whether it’s fat loss, completing a 5k, or being able to walk up and down the stairs. 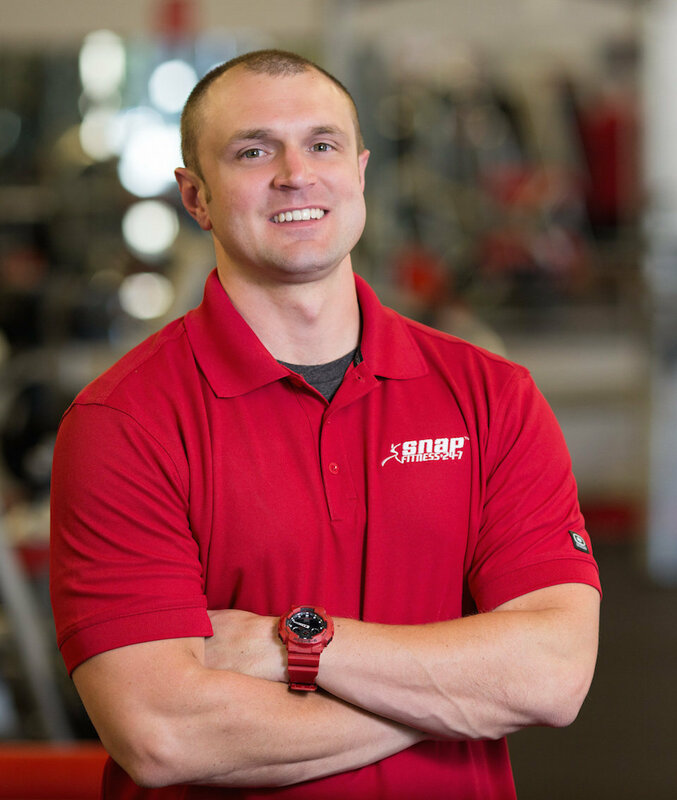 By using safe, up to date, functional methods of training, Matt can help anyone get started on the path towards their health and fitness goals. 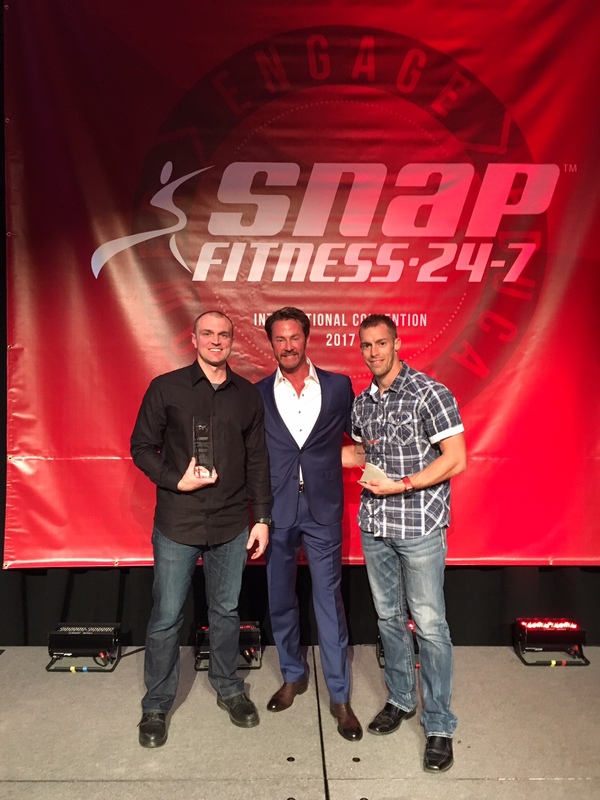 When I joined Snap Fitness in December of 2011 I had spent Very little time in a gym. 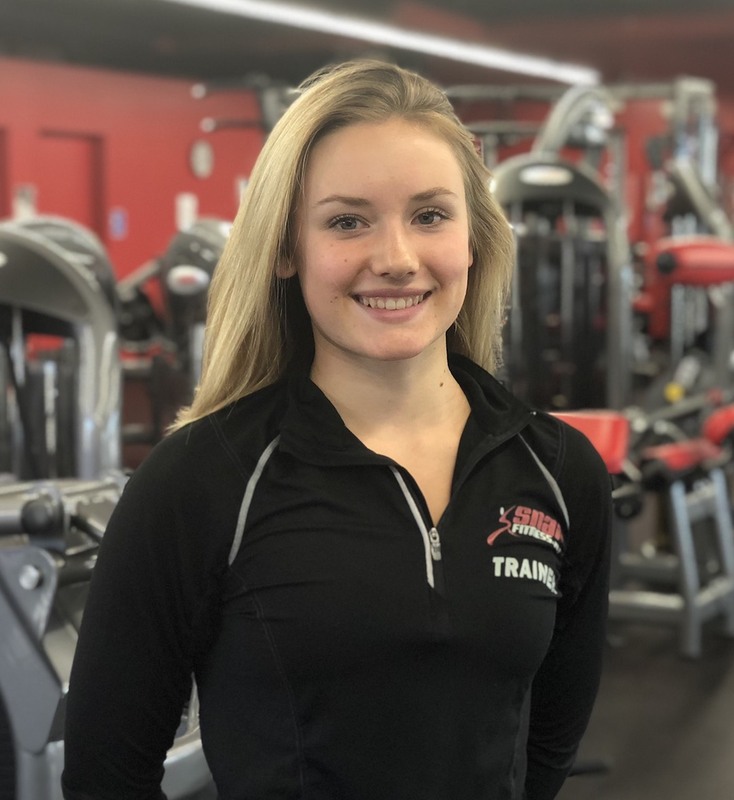 I was introduced to personal training shortly after joining and soon realized that working with a fitness professional helped me set goals and achieve them much faster and easier than I’d ever thought possible! 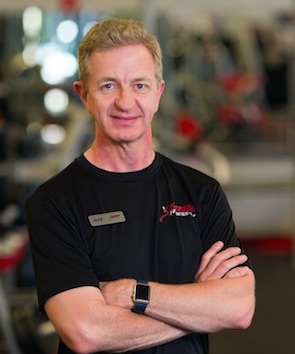 Personal training had such a profound impact on my life that I decided to become a trainer myself so that I could help others achieve their own fitness goals. I have always had an interest in fitness and kept active hiking, walking and cycling. In more recent years I have become involved in running and have completed 3 half marathons and enjoy cycling rides as well as weight training. Certified with NASM (National Academy of Sports Medicine). Designed to improve overall body performance by increasing flexibility and correcting imbalances within the body. Certified with USAW (United States of America Weight Lifting). Bret is able to teach and coach the Olympic lifts to any age group. Certified through NASM, USAW, TRX & Gravity. Has been involved in the fitness industry for 9 years, and over the past 2 years has helped others achieve their ultimate weight loss goals through nutrition assistance and Calorie burning routines. Was previously Fitness Director for 2 years at Gold’s Gym. I have been a member here at snap for almost 3 years and loved it so much that I couldn’t help but want to be part of this amazing team. They have helped me reach my fitness goals and get my diet and exercise routines down and make them sustainable. Now that I am a part of this team I would love to help you achieve your personal goals with your health and body, so please feel free to ask me any questions and I will do my very best to answer them for you and help you get to the finish line and stay there! I love meeting new people and making new friends as I get along with just about everyone! My husband and I love to go camping, fishing, hiking, hunting, snowboarding, horseback riding and pretty much anything that has to do with being outside. I grew up in North Idaho and don't ever want to leave! Cambrae is a certified Senior Fitness Specialist (SFS) through the National Academy of Sports Medicine (NASM). 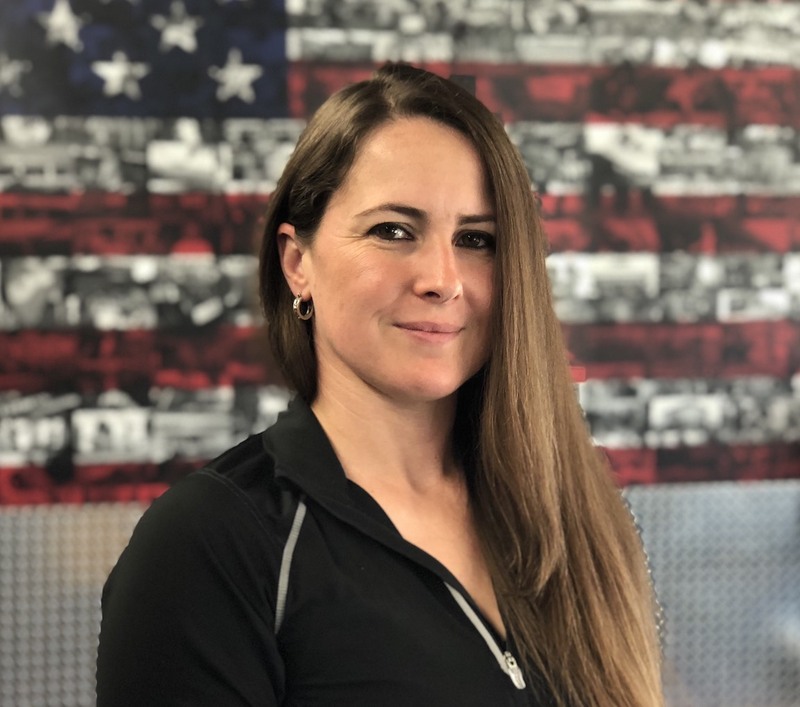 As a Senior Fitness Specialist, Cam is committed to helping clients develop healthy life long habits through rehabilitation strengthening, cardiovascular fitness and overall functional ability. Cam is able to incorporate safe exercise through the knowledge and understanding of senior recovery and injury protocol. 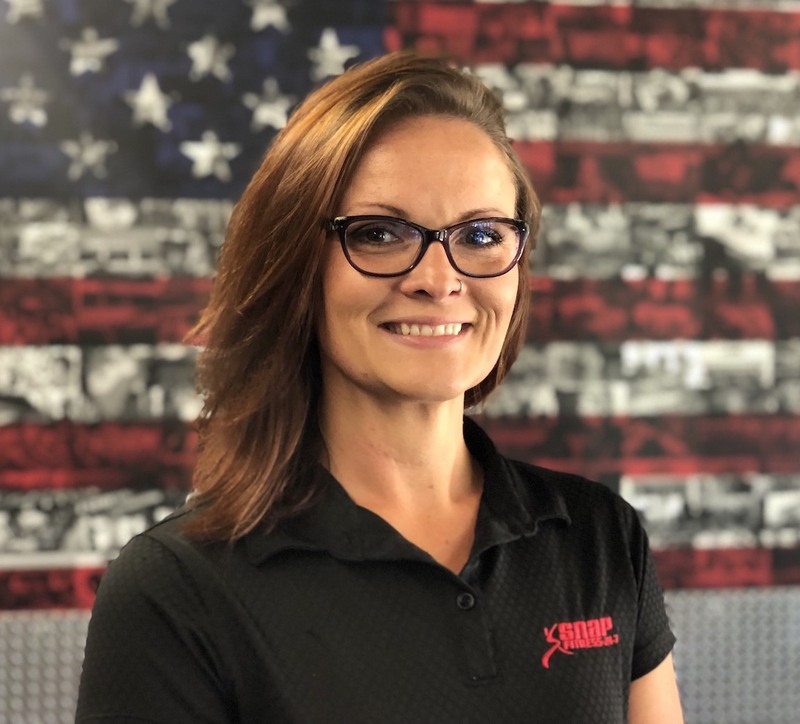 Her certification and passion has led her to shadow at numerous physical therapy clinics in the area, since 2011 when she first became interested in rehabilitation after a sports injury. 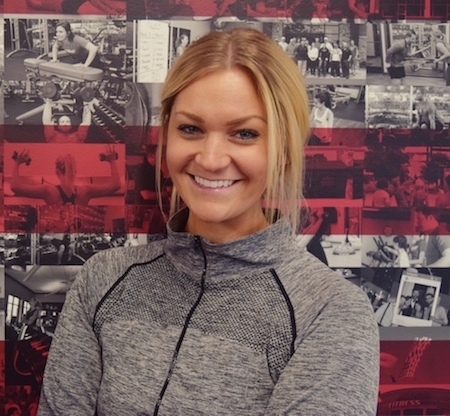 Cam received her personal training certification in 2014, and received her NASM Senior Fitness Specialist certification in 2015. 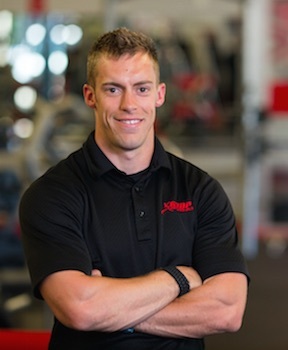 Having over 8 years experience in the fitness industry and lifetime of personal involvement in sports, has led me into coaching and brings me to where I am today. My diverse background in health & fitness also includes working in a Physical Therapy clinic, as well as completing numerous fun runs ranging from 5k Trail races up to ½ Marathon distance. Having firsthand experience suffering from and overcoming injuries related to athletics, I was inspired to pursue a career as a Physical Therapy Assistant. All of these experiences fuel my passion for wanting to help others with their own goals and fitness aspirations. Functional strength training tailored to individual abilities, balance and corrective exercise, run coaching. going on adventures, spending time with my family. In highschool I did Track and interned with the athletic trainer at my high school. After finishing high school and getting my Associates in Psychology I decided to finally fulfill my dream to become a successful personal trainer. I am used to adapting because growing up I moved all over the world, in doing so my passion for community and helping others grew so much that I knew I wanted to be around people and the community for my career. I knew being a personal trainer would be a good fit for me because I am passionate about health and wellness and helping others. My motto is to compete with yourself and train for life. I want all of my clients to continue to compete with themselves to be better than yesterday and to train for a sustainable functionally fit lifestyle. We work hard to be a "Cheer's friendly" atmosphere and the cleanest gym environment in the northwest. We greatly value every member and hope that you can make it out to see what a passionate staff we have. We want you to feel welcome and we pride ourselves on making your gym experience a place you want to come back to! We look forward to getting to know you! We also include a lot of FREE services with our gym memberships to provide assistance for those who need it. Also, don't forget to ask us about our revolutionary heart rate monitoring service that is changing the way we see results! We are the gym where people go to see results, period! Complimentary Nutrition meal planner, Circuit machine pt session, Complimentary PT session to help you get started! The best feature of our gym is that we are never closed. That means that you workout on your schedule and not ours. When we say 24/7, we really mean it! Our smaller environment atmosphere is great for quick workouts where equipment is always available, and accommodating for all levels of exercise. If this is your first time in a gym then feel free to stop by and receive an orientation with no obligations. We would love to show you around and even give you a Free week trial pass to see if it fits you.